PATERSON, New Jersey (WABC) -- A quick-thinking robbery victim cornered a crook inside a bank until cops arrived in New Jersey. 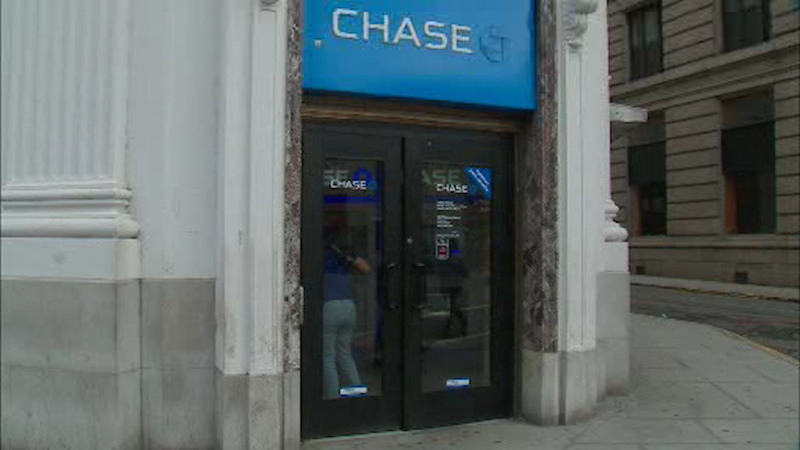 It happened at the Chase bank on Market Street in Paterson just before 6:30 a.m. Wednesday. Police say a suspect was robbing the intended victim near the ATMs, when the man managed to lock the thief up in the vestibule until police officers arrived.